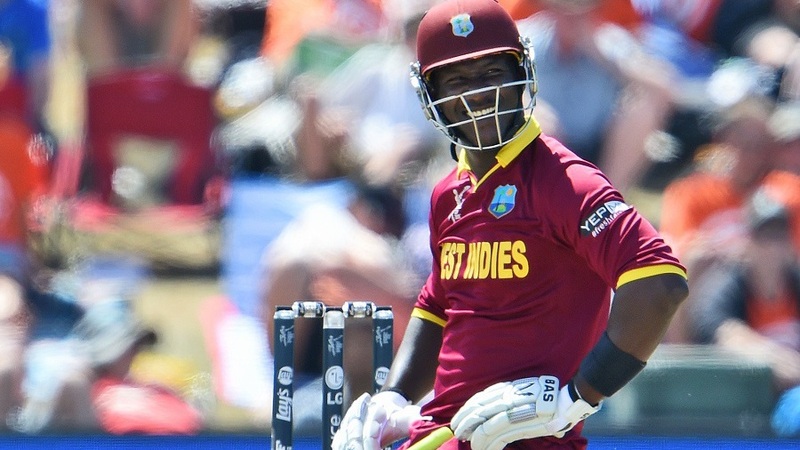 The prospect of a full-strength West Indies squad boycotting the World Twenty20 due to a contracts impasse appears less likely after the team captain, Darren Sammy, informed the West Indies Cricket Board that the team wants to play the tournament, which starts in India from March 8. As captain of the WT20 team, I wish that we can settle this matter and focus on preparations for the tournament. I want to state on behalf of the players that we want to play and will represent the West Indies to the best of our abilities. The embarrassment and fiasco of the Indian Tour which was called off by the Board must not be allowed to happen. However, it is the arrogance and high-handedness of the Board which cause these problems. You cannot continue [to] force players to be represented by a body that they are not members of and do not want to represent them. You cannot continue to be unfair and unreasonable. Issues like this will continue to plague West Indies cricket unless you have an MOU and arrangements for non-WIPA players are fair and just. ‎We are aware that, win or lose, this may well be the last tournament for most of us as reprisals will set in but we will speak out for what is fair. We are players and we know that unless radical changes take place, players will always have the grievance of which we complain. We simply find it bizarre that the Board does not know how much it will receive from the ICC for the tournament! ‎How you receive the value may be spread over time but you surely should know what the income is. If you don't agree to the above, would you consider that this matter goes to mediation for a settlement. We believe that the above options are fair and reasonable. We have compromised on our earlier request that original formula be used. We trust that the Board will also be willing to compromise. In an email sent to the board over the last 24 hours, Sammy, however, reiterated his original demand asking the WICB to double the match fees, and share 50% of the sponsorship revenue and 100% prize money with the players. Sammy also asked the board if they would be ready for a mediation to settle the matter in case of a disagreement. Sammy's latest communiqué comes after the WICB had set February 14 as the deadline for the players to agree to the terms of the contract, failing which it would be assumed they had refused selection for the World T20. "As captain of the WT20 team, I wish that we can settle this matter and focus on preparations for the tournament," Sammy said in his third e-mail this week to WICB CEO Michael Muirhead. "I want to state on behalf of the players that we want to play and will represent the West Indies to the best of our abilities." All through this week Sammy, who is playing for the Peshawar Zalmi franchise in the Pakistan Super League, has been involved in a dialogue with the WICB through a series of e-mail exchanges with Muirhead. In his previous two e-mails to Muirhead, Sammy said the WICB needed to double the players' remuneration for the World T20 and stated they did not recognise the West Indies Players Association (WIPA) as their representative. Muirhead told Sammy that WIPA was the "exclusive collective bargaining agent for West Indian players." Muirhead also let Sammy know that the WICB did not agree with the "old hierarchical system" of payment to players for ICC events under which senior players received "grossly disproportionate" amounts solely based on the number of international matches played. Sammy said that he would not be happy to repeat the "embarrassment and fiasco" of West Indies' pull-out from the India tour in 2014 but pointed out that the WICB could not continue with its "high-handedness", the main reason behind the frequent run-ins between both parties. "You cannot continue [to] force players to be represented by a body that they are not members of and do not want to represent them," Sammy said referring to the WIPA. "You cannot continue to be unfair and unreasonable. Issues like this will continue to plague West Indies cricket unless you have an MOU and arrangements for non-WIPA players are fair and just." Sammy said he was aware, yet unafraid, of the "reprisals", and stated that "unless radical changes take place, players will always have the grievance of which we complain." For the third time this week, he also asked the WICB to double the match fee of $6,900 on offer in addition to sharing 50% of sponsorship fees and 100% of the prize money with the players. "If you don't agree to the above, would you consider that this matter goes to mediation for a settlement," Sammy asked.